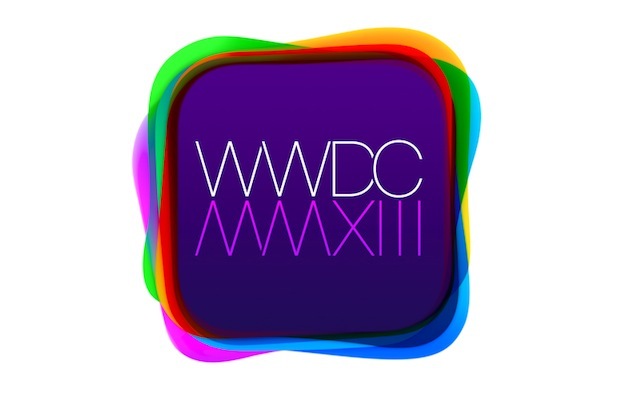 Apple is going to unveil iRadio tomorrow, June 10, at their annual World Wide Developers Conference in San Francisco. We're about as sure of it as anyone can be when it comes to anything Apple-related. If not tomorrow, then soon. The fact of the matter is, it's coming. The last major label holdout, Sony, has caved. The deals are in place. Apple is ready to make their move, and enter an arena they've been flirting with for quite some time. Will it be called iRadio? Who knows. What matters is, it's going to help Apple change the music industry, and transform their business model, yet again. Sure, Apple is entering a space that is already incredibly saturated. But, if there's one thing we've learned in recent years, it's that Apple doesn't enter a new market if it doesn't believe it can provide a better user experience than everyone else. Everyone has their theories about exactly what iRadio will be and how it will work. We've rounded up the most important points. All the major labels are on board, and Apple has finally stopped low-balling them. Apple's been eyeing a streaming platform for at least a year. The holdup? They didn't want to pay for it. The tech giant was hoping to land a rate of about six cents per 100 streams, half of the 12 cent rate Pandora currently pays. Spotify's payment structure is a bit more complex, but typically works out to a much higher, but still paltry, rate. Apple allegedly upped their offer to roughly match Pandora, helping them secure label agreements. The final holdout, Sony, asserted that the company stands to make even more money than rival services, and should be paying a higher premium. Apple's final settlement has not been disclosed, but, with Sony now on board, they're all set to launch with a robust catalog. It will be more like Pandora than Spotify- for now. iRadio is said to more closely resemble Pandora's business model than Spotify's, for now. Allowing users to create stations based on taste, it won't offer up the full a la carte selection Spotify fans are accustomed to. Apple's advantage over Pandora, is that it already knows your taste. Using your iTunes library, the company already creates Genius Mix playlists, and predicts which artists you may be interested in on iTunes. Plugging this same algorithm into iRadio, and offering it as a built-in component across devices, for free no less, would effectively make Pandora obsolete to Apple users. While flipping the switch and turning the whole iTunes store into a Spotify-like service would be preferable for consumers, it's understandable why the company would want to ease into that model. For one- they'd need to secure many, many more rights agreements. But, more importantly, they have a multi-billion dollar cash cow they don't want to wipe out over night. Apple has to play ball, but, in this instance, they need to be careful about cannibalizing the market they helped create. iAds are getting a makeover. The availability of a premium, ad-free option for iRadio is unclear (bundled with iTunes Match, perhaps? ), but, how Apple plans to monetize the service isn't. It's no secret that Apple's iAds, their in-house mobile ad placement service, has seen a lukewarm reception. Rather than count their losses, the company is said to be retooling the service to sell high quality, premium audio ads for placement within iRadio. Unlike mobile apps, which can implement ad placement from outside agencies, Apple will retain full, closed control of its streaming service, allowing them to serve as the exclusive advertiser. The other guys are getting worried. Apple hasn't even announced iRadio yet, and its competitors are already feeling the heat. Pandora's stock has dropped. Rdio is shifting around its management. Even if iRadio isn't a full-on game changer out of the gate, or a worthy competitor to market leader Spotify, Apple has proven time and time again its ability to enter an established market and assert dominance. The service isn't the bigger picture- it's the infrastructure, the ubiquity and ease of use of the platform it will occupy. Apple simply needs to build iRadio into the hardware and software users already have, and grow it from there. This could change everything- but we might have to wait a little while. The significance of Apple's entry into streaming shouldn't be underestimated, but the full scope of it is still a few years out. With every major player getting into the streaming game, the future of music sales is clear: consumers want everything available to them at all times, and they don't want to pay much for it. Contrary to Steve Jobs' assertion several years ago, the mentality of “owning music” is becoming less of a priority. Just as Netflix has changed the need to own films, music streaming paints the picture of a future where music is more of a utility than a tangible commodity. iRadio, by extension, is the first step of music's largest retailer laying that future's foundation. iRadio probably won't be the star of WWDC. Though the announcement of iRadio will be of huge significance to the music community, it likely won't take center stage at WWDC. iOS 7, Apple's latest mobile operating system update will be the focus, along with OSX 10.9. Both software updates, iOS especially, are rumored to see massive overhauls. Additionally, new hardware, specially MacBooks, seems to be a strong possibility. Will we see a game changer like a dedicated Apple television set? Not likely this time around, but keep an eye out in the fall.